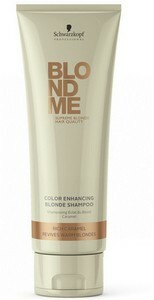 Rich Caramel Colour Enhancing Blonde Shampoo for enriched warm blonde tones. Directions: Massage into wet hair for up to 1 minute. Rinse thoroughly.